The first thing that you need to do it zest your orange (I would say about 1/3 of a large orange) and cut up two squares of chocolate into small pieces. Leave this to the side. Combine the sugar and flour in a bowl, before adding in the lard and stork. Rub this together with your fingertips until it resembles breadcrumbs. 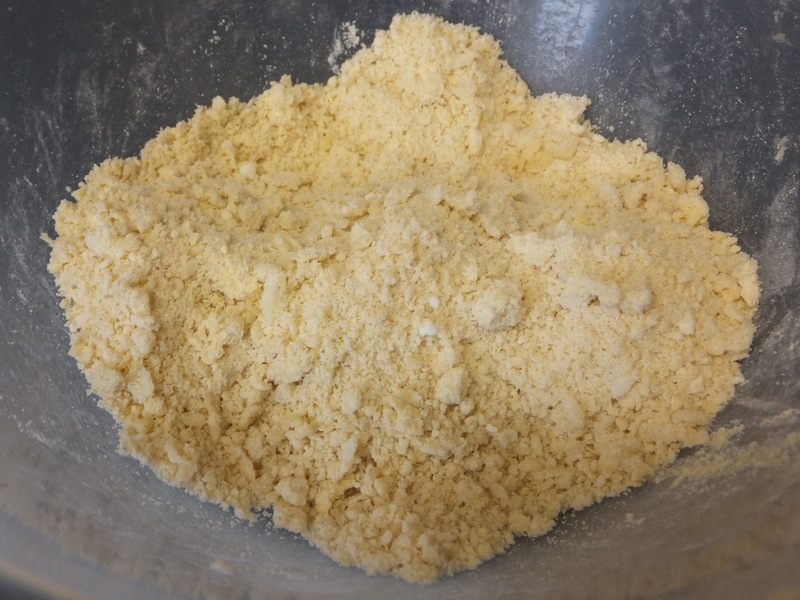 Add 1tsp per 25g flour (so 6 in this case) to the breadcrumb mixture and form into a dough. Once it is a dough place a teatowel over the top of the bowl and leave on the side for 15 minutes. Once you have left the pastry for 15 minutes, it's then time to roll it out! 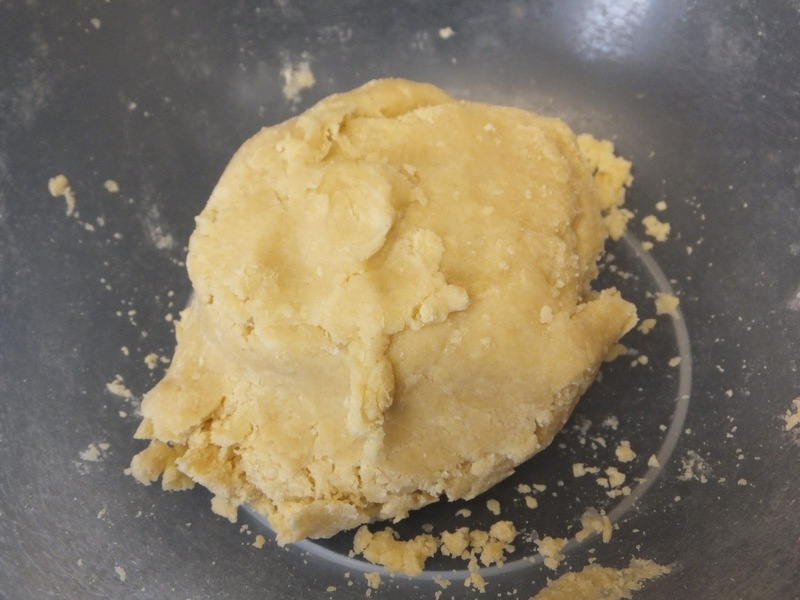 Place some flour down on your work surface, and spread a small amount on your rolling pin. 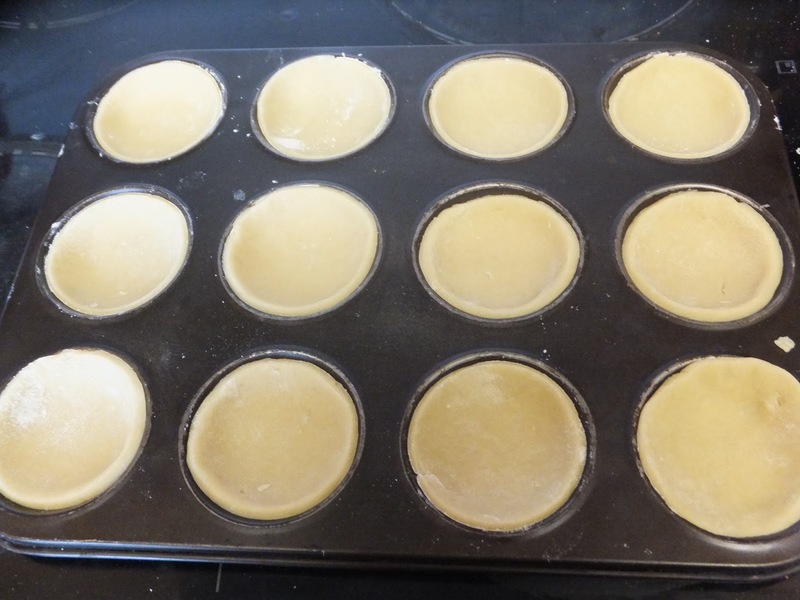 Gently roll out your pastry until about 2-3mm thick. 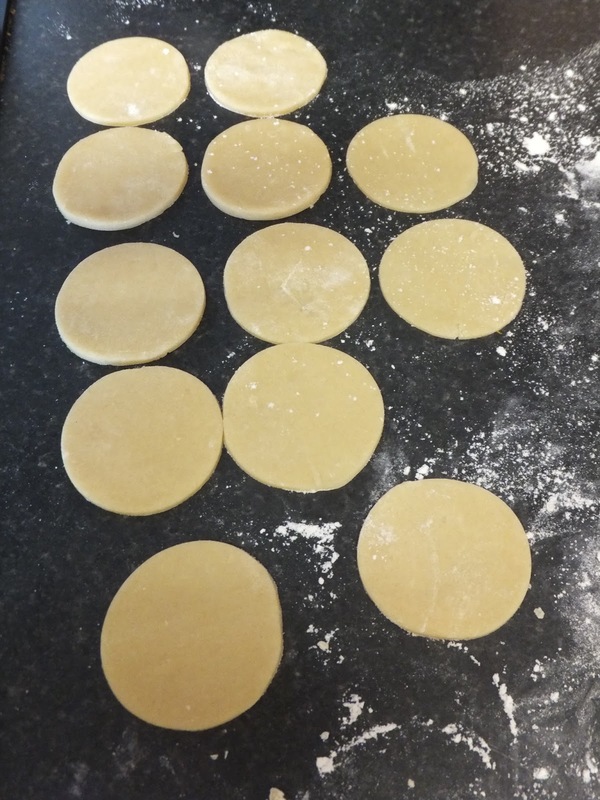 You will need two circular pastry cutters, or if you had a star or holly shaped one this would be good for the top! I used a medium cutter for the base, and a small one for the top. Remember to cut out a small one every time you cut out a medium one so that there's an even number of bases and tops! At this point I put the oven on, and it needs to be at the temperature of 200°C/392°F/Gas Mark 6. 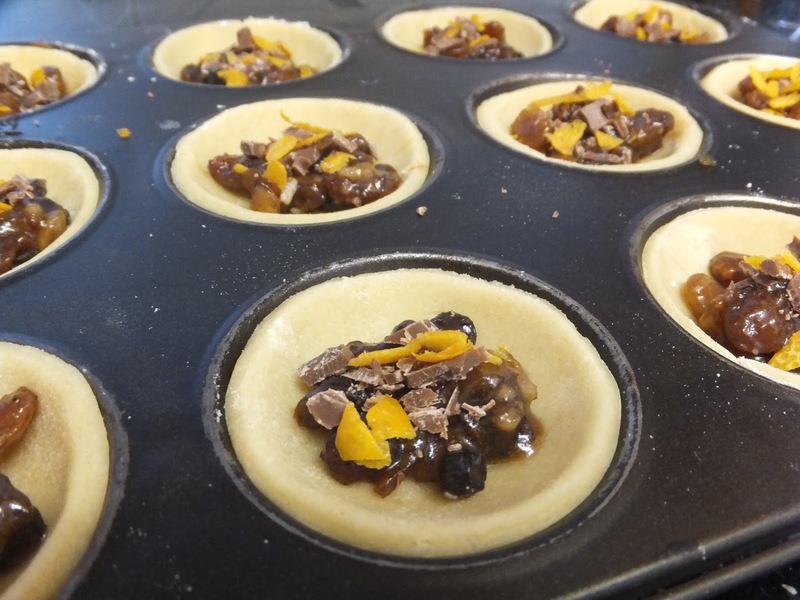 After placing all your bases into the cupcake tray, spoon in about a teaspoon of the mincemeat. On the top of this sprinkle some of the chocolate pieces and orange zest. Once you have put all of the filling into the bases, you need to put a thin layer of water round the edge of the base (I find it's easiest using my finger). This will enable the top to stick to the sides properly. Place the tops on and slightly squish down the sides so that it's all enclosed. Prick a fork in the middle of the pie, and then put a wash of water over the top and sprinkle on some sugar. Place in the oven for 12 minutes. 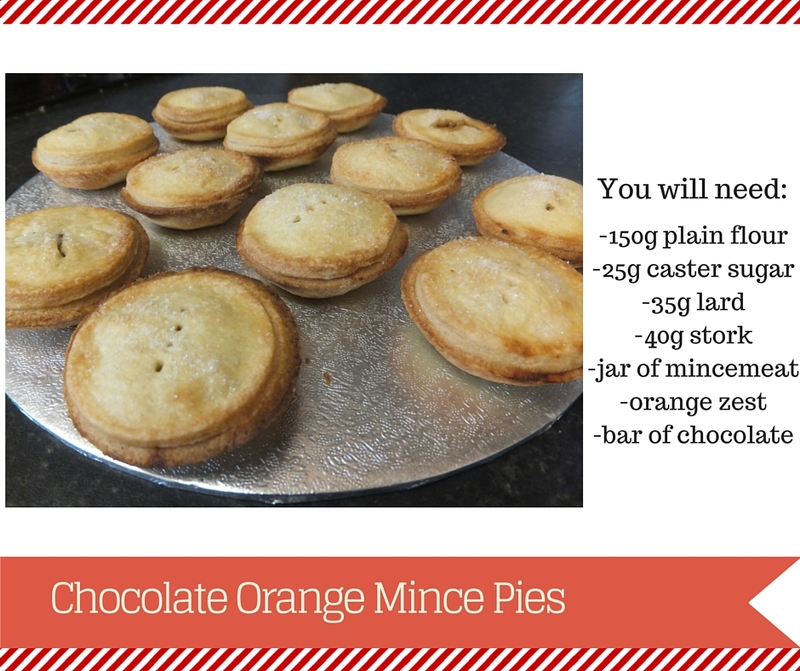 Once the timer has gone off, it's time to get your mince pies out and tuck in! 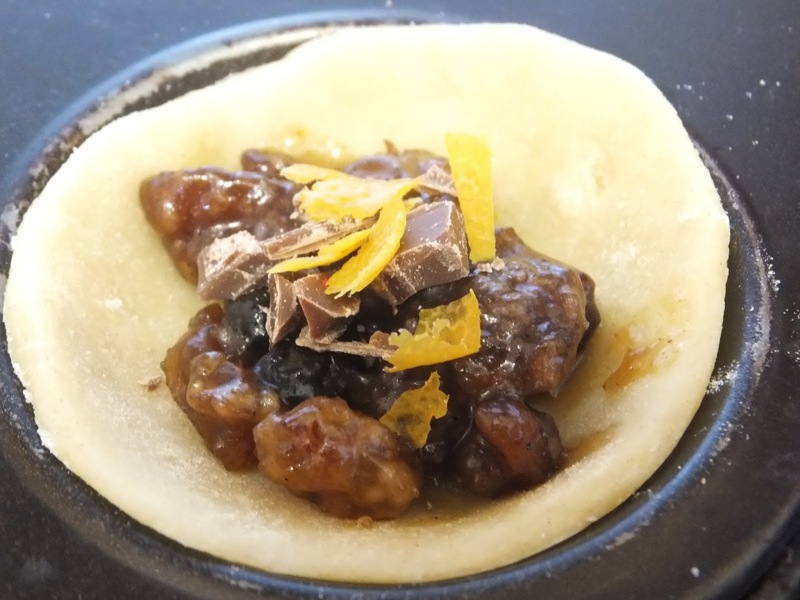 There's a mix of the normal mincemeat, with some melted chocolate and a hint of orange; and the result is really lovely! 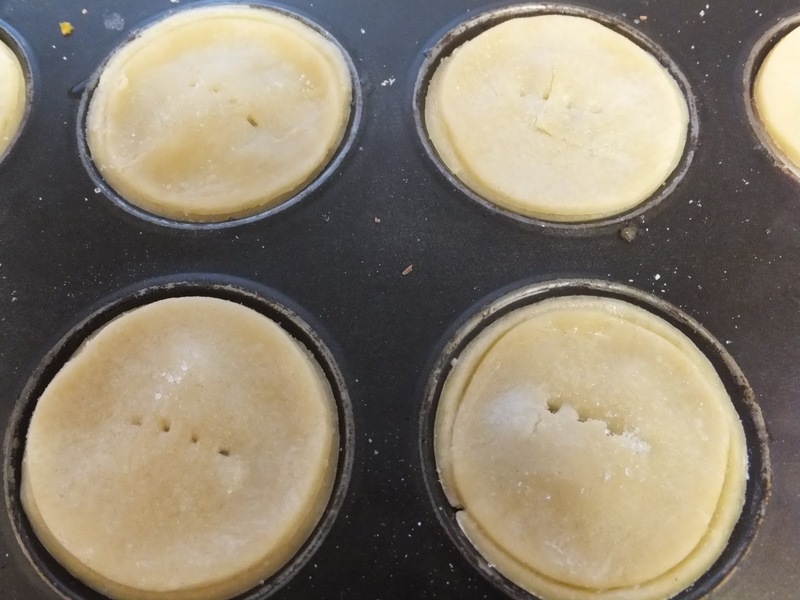 I'm so happy that it's now the time of year where I can make and enjoy mince pies again. If you've never had a homemade mince pie you honestly need to. They're a bajillion times better than the shop bought ones! 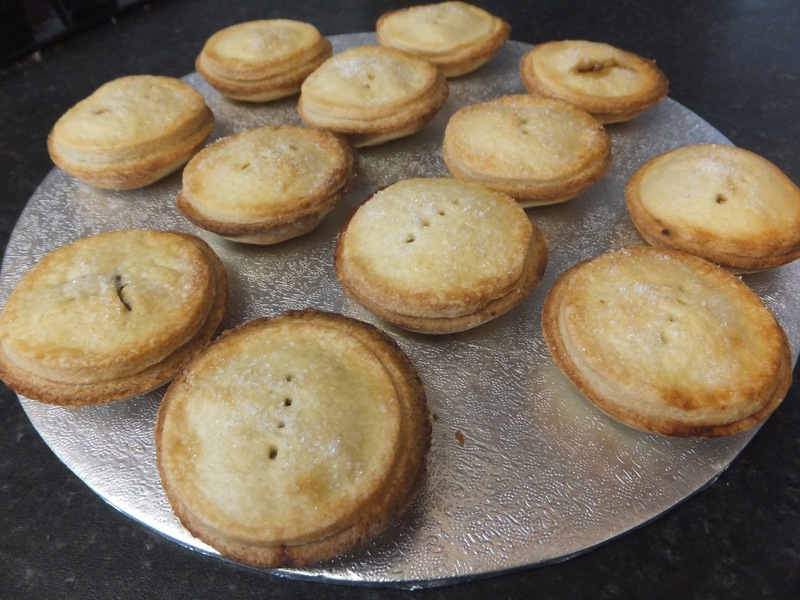 I know that I will definitely be making some more mince pies again soon, and if you have a go at making your own please let me know how they go! Remember to come back next Wednesday for the next instalment of my festive series.